Jana is a HOPE SPEAKER! She enjoys meeting new people, coffee with friends, helping the orphans, releasing hope throughout the nations, walking the beach, heading to the mountains, radically sharing hope and being Jordan’s Momma! If you are still interested, let’s continue the introduction! Jana Alcorn is an Inspiring Change-Agent! 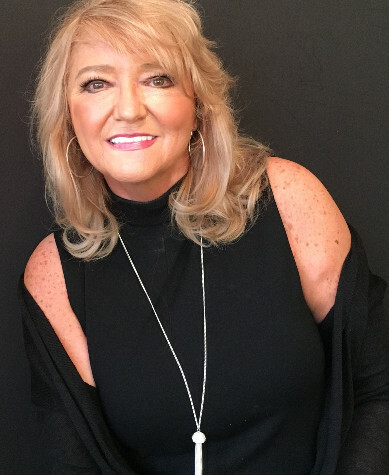 Her work has been featured on over 200 media outlets including ABC, NBC, CBS, FOX, CBN, The Miami Herald, The Los Angeles Daily, The Olympian, The Boston Globe, Trinity Broadcasting Network, Christian Television Network, The Inspirational Network and more. She received her higher education at Snead State Community College, Christian Bible College, Southwestern University, The University of Alabama, Logos Bible Institute, Larsons School of Real Estate and the John Maxwell University. Jana is a Certified Executive Life Coach, Speaker, and Trainer with the John Maxwell Team. She has trained Leaders in over 25 Nations and in most of the United States! For over 25 years, Jana has been involved in church planting, missions, and leadership development. She has spoken in over 1000 Keynote and Breakout Sessions! She is the Author of nine books and countless articles, teaching blogs and media resources. She is the Founder of Hayley’s House, A House of Hope and Mentorship For Orphaned and Abandoned Children in Tanzania, East Africa. Her message of HOPE, born through years of horrendous tragedy and heart-breaking circumstances is told in her latest Destiny Image Publishers book, Finding The God Zone, Where Hope Lives. In 2005, culminating a long season of losses, Jana’s husband died as a result of his military service in the United States Air Force. Their son, Jordan, is currently finishing his university studies. You can read their heart-wrenching story here. They live to share the life-giving message of hope. Her uplifting and activating style will touch both hearts and minds and bring you to another level of expectant living! She can’t wait to meet YOU! Connect with Jana today!